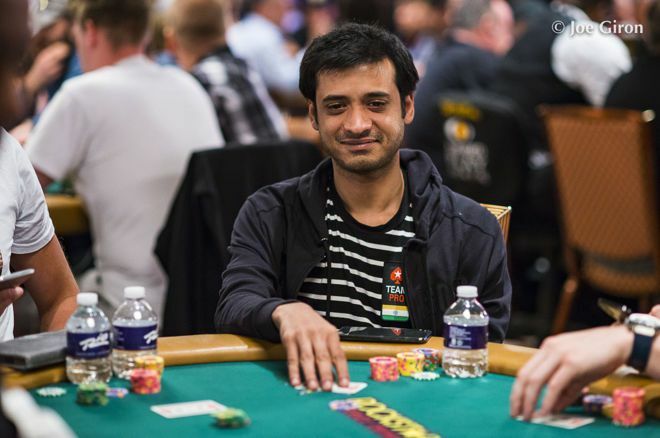 PokerNews India met up with Aditya ‘Intervention’ Agarwal; probably the most recognized Indian face in the global poker arena. He’s also one of the only two Team PokerStars Ambassadors from India. PokerNews India: How did your poker journey start? Aditya Agarwal: In 2003, I was a freshman at Drexel University and that’s when I saw Chris Moneymaker winning the WSOP on ESPN. So, I started following poker and playing with other students in my dorm. Slowly, I graduated to online poker and continued playing. PokerNews India: Do you play poker full-time or do you have other engagements? Aditya Agarwal: Ever since I graduated from college, I’ve been playing poker full-time. In college, I got serious about poker and was playing part-time then. I changed my major from Engineering to Marketing so that I could get more time playing poker. PokerNews India: What does a typical day look like for you? Aditya Agarwal: I recently moved to Goa and got two puppies; so, I’ve been busy with that. A typical day starts with exercising, then watching videos and studying. I also give a lot of coaching nowadays, so that also keeps me busy. In the evenings, I log on to PokerStars and play for quite a bit. Aditya Agarwal: There are innumerable resources available online nowadays to learn about poker. For a newbie, I would suggest PokerStars School because it has excellent content and it’s free. You can get tips from me and Muskan Sethi, my fellow PokerStars Ambassador. PokerNews India: How many poker pros of the international fraternity are you friends with? Aditya Agarwal: I’ve been on the circuit for almost 15 years now. So, I’m well acquainted with many of the international pros. PokerNews India: Tell me about the Indian advocates who are fighting to get poker legalized. Aditya Agarwal: I think AIGF is doing a very good job in fighting the good fight to get the game the status of a skill-based game. There are other bodies as well as individuals who are doing their bit to get poker legalized in India. PokerNews India: Do you give coaching offline or online? Aditya Agarwal: I give coaching both online and offline. I give live sessions as well as sessions on Skype to students. PokerNews India: What’s the future of poker staking in India? Aditya Agarwal: Staking has an excellent future in India. There are a lot of players who are getting really skilled at poker today. Also, there are a lot of backers who are confident in staking players. I see many stables opening up in the coming years. This is excellent for the game of poker in India as we will get to see more talent emerging and earning laurels in both international and domestic circuits. PokerNews India: What does the Indian poker scenario lack as compared to other countries? Aditya Agarwal: One problem in India is that a lot of the newcomers are interested in running games rather than playing them. The business side of poker has become increasingly attractive. That said, there would be no appetite to run games without the players. PokerNews India: What has been your biggest win? Aditya Agarwal: My biggest win was in the APPT Championship where I came 2nd. PokerNews India: What are your plans for the future? Aditya Agarwal: My plan is to keep going on and work as hard as possible on my game and become the best version of myself. I also want to advance poker as much as possible in India. Aditya Agarwal: I am very confident about the growth of poker in India in the coming years. I see a lot of Indian players earning top laurels in international tournaments in the coming future.